At the same time as the Home and Garden Expo is going on, and tightly linked to it, is the Breedables Fair right next door – indeed, you can stroll from the Prim Perfect region of Home Expo 6, straight across to the Breedables Fair where you will find kittycats, horses, bunnies, meeroos, dwarfins, tigers, pandas … and even breedable shoes. 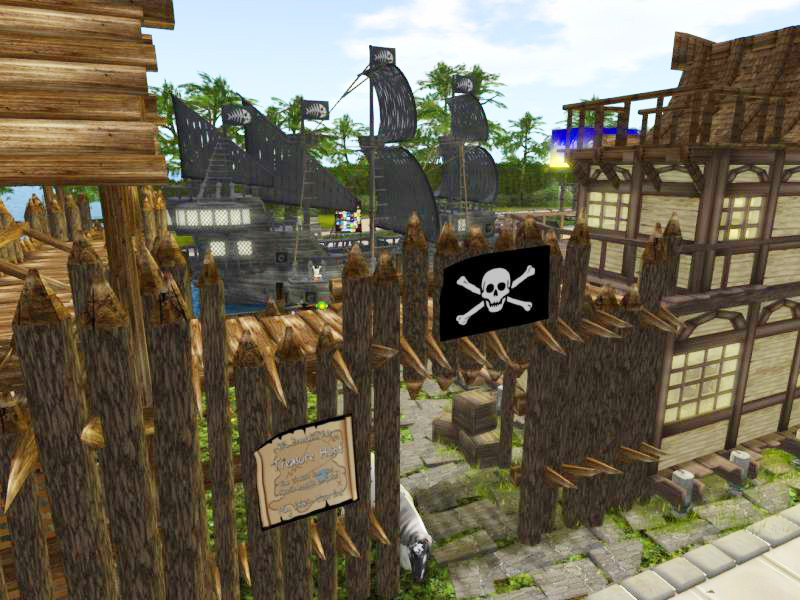 There is also a pirate treasure hunt (this is quite separate from the excellent Home and Garden Expo Hunt, run by the awesome people at Prime – which we have been looking at on Happy Hunting!). and this is located in a rather stunning pirate build on Breedables Fair 1. And, of course, it all raises money for Relay for Life of Second Life. Previous Post: Prim Perfect Talks at the Home and Garden Expo – Marketing and Mesh topics for today’s talks! Next Post: A special treat for jigsaw fans with the Quest for the Golden Prim!